Political economy offers an important perspective in understanding, and learning from, the government’s proposed changes to the small business tax regime, writes Sean Speer. A quiet summer is an incubator for political controversy. Ottawa's proposed reforms to small business taxation is a good (or bad) example. It's a complicated matter. There's much one can say. Indeed, much has already been said. Economists, doctors, financial planners, and small business owners have, according to media reports, definitely said a lot – including to their local MPs over the summer recess. It's fair to say that this is the biggest policy-based controversy the nearly two-year Trudeau government has had to face. I don’t purport to add here to the ongoing principle-based debate or technical analysis of the government’s proposed changes. There are plenty of voices that people can turn to if they’re interested in these tax policy questions, ranging from Jack Mintz and Philip Cross to Kevin Milligan and Stephen Gordon and so on. Rather the purpose of this short essay is to make four observations about the political economy of the government’s tax reform. Political economy basically refers to the application of economic theories and reasoning to the policy or political process. There’s a considerable body of research on the political economy of tax reform, including in Canada. The basic insight from this work is that tax reform is hard. This is the case for several institutional and political reasons. A key one is the dynamic of “concentrated benefits and dispersed costs,” whereby the beneficiaries of certain tax provisions tend to be loud and well-organized and the costs of credits, deductions, and other special preferences (what are called “tax expenditures”) tend to be nominally dispersed across the tax-paying public. Politics can trump evidence or good ideas. Just consider, for instance, the Trudeau government’s decision to reverse its predecessor’s elimination of the Labour-Sponsored Venture Capital Corporations (LSVCC) Tax Credit. Political economy considerations are no doubt key to understanding this policy choice. There’s a significant consensus in economics and tax policy circles that this tax credit is highly distortionary and has contributed to the weakness of Canada’s venture capital sector. The Harper government accepted this evidence and enacted a phase out of the tax credit in the 2013 Budget. But the LSVCC Tax Credit is popular among a relatively small group of investors (it’s claimed by roughly 290,000 taxfilers per year) and labour unions – particularly in Quebec. The incoming government thus opted to neglect the evidence-based consensus and restored the tax credit at a cost of roughly $160 million per year in order to appeal to a small yet electorally-relevant cohort. The purpose of this example isn’t to chide the government for its LSVCC Tax Credit decision, though of course it deserves it. The point is that political economy is a key ingredient in understanding how policy questions are conceptualized, how options are assessed and weighed, and evaluating how a government ultimately chooses to act particularly with regards to tax reform. Any policy commentary or analysis ought to consider the political economy dynamics at play. Which brings me to the purpose of this short essay. I want to make four political economy observations about the government’s proposed changes to the small business tax regime. There are undoubtedly others that could also be made but these are four that I’ve been thinking about as I’ve read and followed the policy debate unfold. The first is it’s odd for the government to assume such political risk for roughly $250 million in incremental revenues. Ottawa collects about $300 billion in annual revenues and is running a budgetary deficit somewhere likely between $20 billion and $28.5 billion. The revenue produced by these changes will not have a material impact on the fiscal bottom line. It seems to me that if the government was to assume some political risk related to tax reform it should have focused on other tax provisions that have greater revenue implications. Previous MLI research has pointed to the Age Credit ($3.5 billion) and the non-taxation of employer-provided health and dental benefits ($2.7 billion) as tax measures worth targeting in this regard. It’s not that reforming or repealing these measures wouldn’t come with considerable political risk – in fact, likely as much or more than the small business changes. But at least the financial reward would have been commensurate. The second is about the importance of transparency. We don’t really know why or how the government decided that reforms to the small business tax regime needed to be prioritized over other distortions, inefficiencies, or bad policies inherent in the tax system. This, in hindsight, was a mistake. Ottawa was wise to draw on a strong group of external experts last year to advise on its review of the tax system, including University of British Columbia’s Kevin Milligan, Carleton University’s Jennifer Robson, and several others. Yet it never released any of the analysis or judgements carried out through this exercise. So we have no idea what metrics or evaluation tools were used to assess individual tax provisions or the advice that the experts provided to the government. All we know is that the only significant reform to come out of the exercise (save for the consolidation of caregiving-related provisions that was a positive policy outcome) relates to small businesses. We don’t really know why or how the government decided that reforms to the small business tax regime needed to be prioritized. Had the government adopted MLI’s recommendation of a clear and public checklist for assessing and evaluating the tax system, it would have had a more transparent and evidence-based case for its policy decisions. It would have seemed less arbitrary and less prone to politics. It almost certainly would have made the job of communicating and defending any subsequent policy choices much easier. The third is the challenge posed by zeroing in on small business and not carrying out a broader set of tax reforms affecting more sectors and other parts of the economy. The economic literature on successful tax reforms shows that “going big” tends to be more efficacious because there’s no single voice opposed to the exercise. Everyone is affected and so, in some ways, no one is. The Liberal Party platform had identified a goal of realizing as much as $3 billion in incremental revenue from its review of the tax system. It’s important to note that this was in addition to repealing income splitting, getting rid of education-related tax credits, and reversing the increase in the annual TFSA limit. Focusing solely on reforms to the small business tax regime leaves the government far from meeting its own target. But, more importantly, it would have meant that small businesses didn’t appear disproportionately targeted. The public debate would have been more crowded and less hyper-focused. There would have been more winners and losers. It’s a bit counter-intuitive but here’s a case where greater ambition and boldness may have been associated with less rather than more political risk. The final observation is about the failure to adhere to the principle of revenue neutrality. Some observers have noted that these proposed changes have generated more backlash than the government’s increase to the top marginal tax rate for high-income earners. This is undoubtedly true. One reason for the divergent experience may be that the previous tax hike was married with a corresponding tax cut. Taxes therefore weren’t seemingly going up in net terms. It was also more difficult for high-income earners to decry the changes given it was enabling other tax reductions (including ones that they would benefit from). The government hasn’t committed to revenue neutrality in this case. Any incremental revenue will simply go into a fiscal black hole. The government hasn’t committed to revenue neutrality in this case. Any incremental revenue will simply go into a fiscal black hole. It seems to me that it has subtle yet important implications. One can see how people would view these changes as less about improving the overall progressivity of the tax system or enabling more targeted public support for low- and middle-income earners than the previous one. It can cause small business owners (including doctors) to think it’s just a gratuitous tax hike by a revenue-hungry government. Ottawa would thus be wise to commit to return any incremental revenues in the form of targeted support for promoting work and opportunity. An increase to the Working Income Tax Benefit is a good option. It would reinforce the government’s “fairness” and “inclusive growth” vision and make more about enabling broad-based opportunity as opposed to equalizing outcomes through higher and higher taxes. This small business tax issue isn’t going away. There will be ongoing policy and political challenges related to it. Using political economy concepts and theories is a useful way to evaluate the government’s policy choices and see how it can improve the conditions for better policy outcomes. We’ll see how it ultimately turns out as summer ends and the fall session gets set to resume. 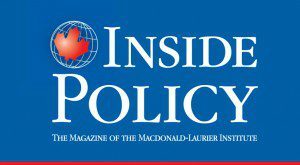 Sean Speer is a Munk senior fellow at the Macdonald-Laurier Institute.